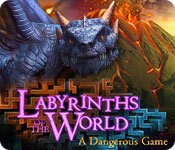 Our Labyrinths of the World: A Dangerous Game Walkthrough includes simple instructions & colorful screen shots to help you along in this enthralling hidden objects game! Collect the barrel & bark. Select the mitten – collect Datura. Select the mace – collect the wick & rag. Use the fork & barrel & Datura – collect the sleeping beverage and use it. Collect the empty fire work. 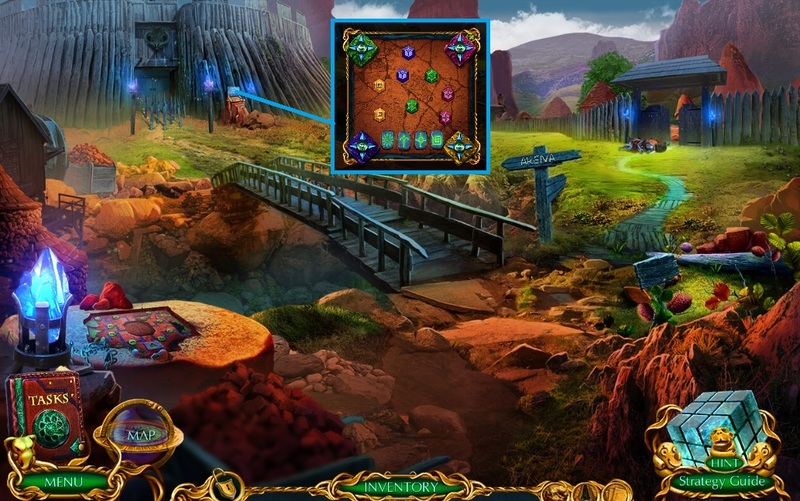 Select the masher – collect the fireworks top & honey dipper. 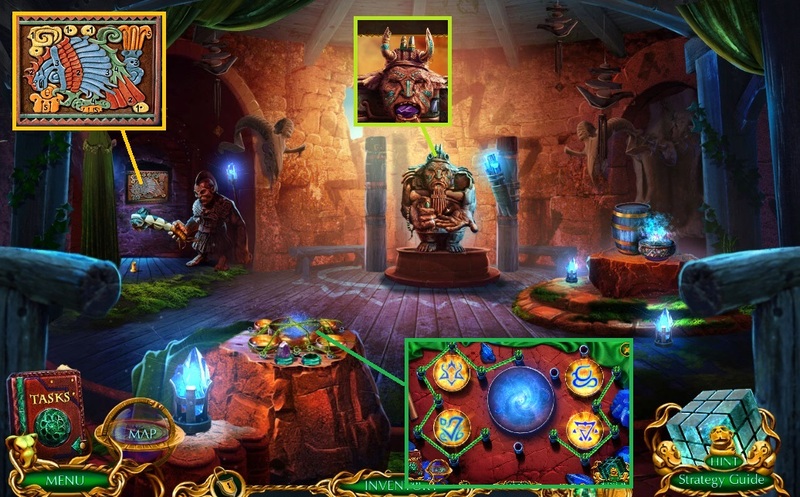 Select the rag – collect the sack. 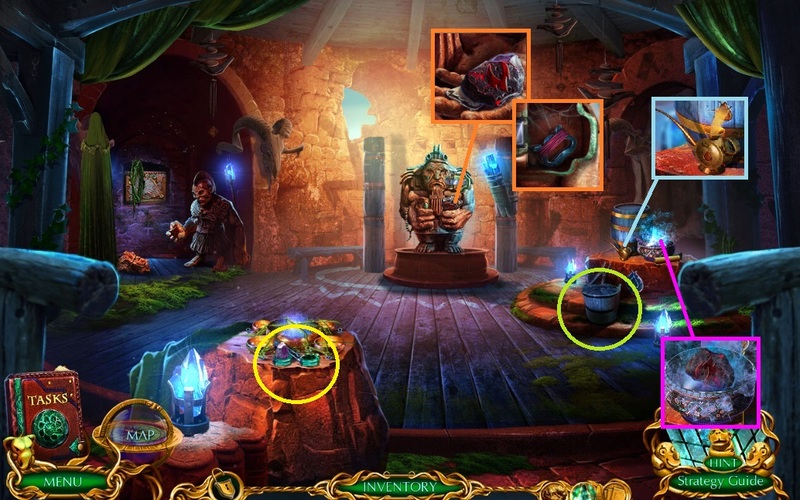 Select the sack & bark – collect the gunpowder, magnifying glass & leather braid. Use the gunpowder – wick & fireworks top to create the firework. 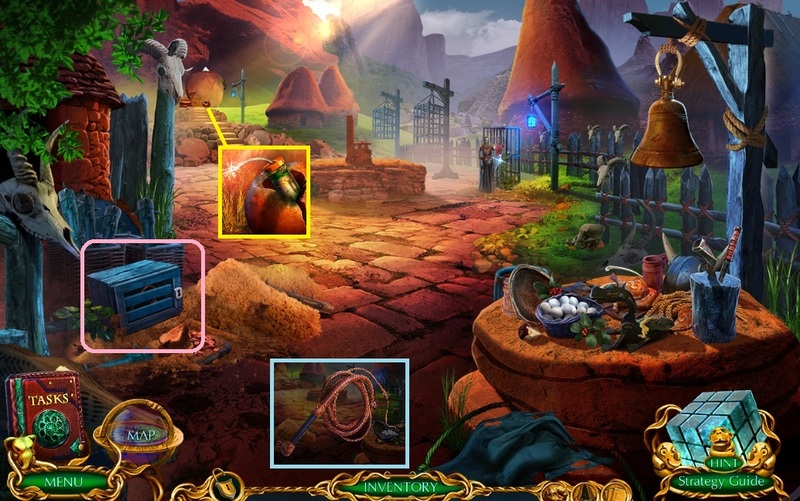 Select the honey – collect the knife & golden coin. Move to the Troll Camp. 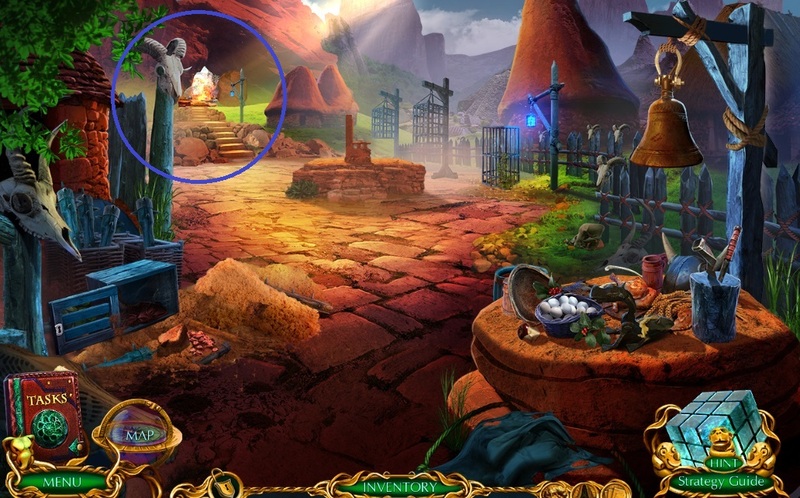 Use the knife to trigger a hidden objects area. Insert the box key – collect the broken whip & wrench. Place the leather braid onto the broken whip. 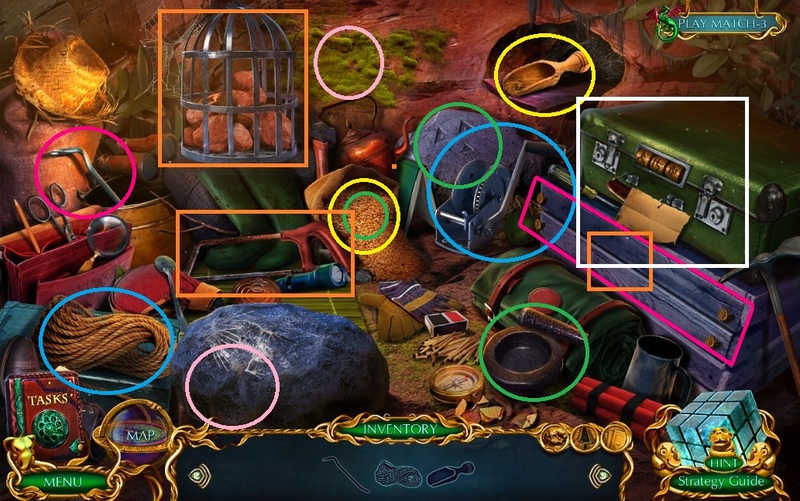 Select the firework & magnifying glass – collect the writing stick. Click & use the writing stick to trigger a mini game. 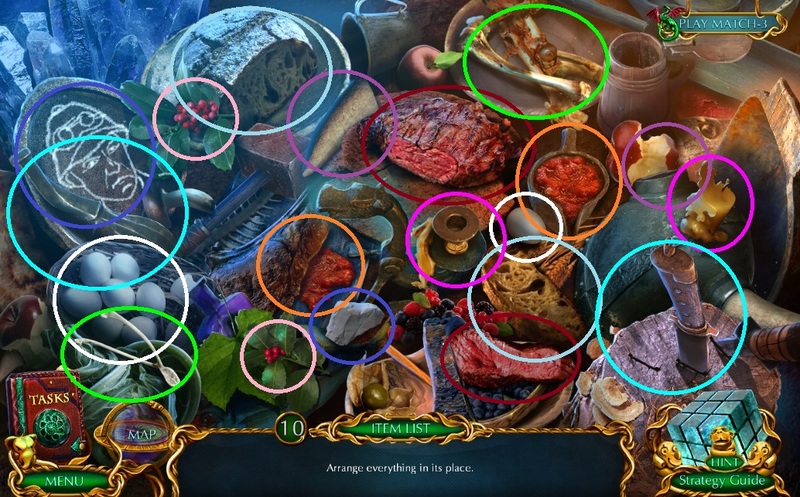 Solve the game by moving the tokens to the correct spots. Use the wrench – collect the magnet. 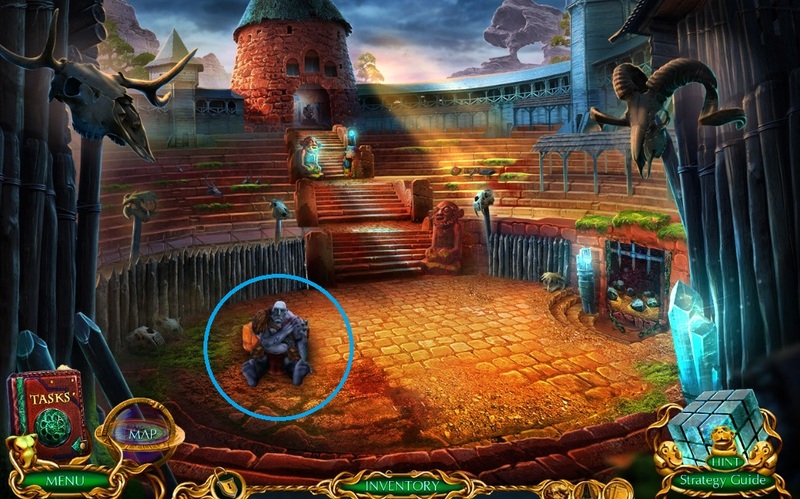 Click the bars – collect the crowbar & use it to collect the stone amulet. 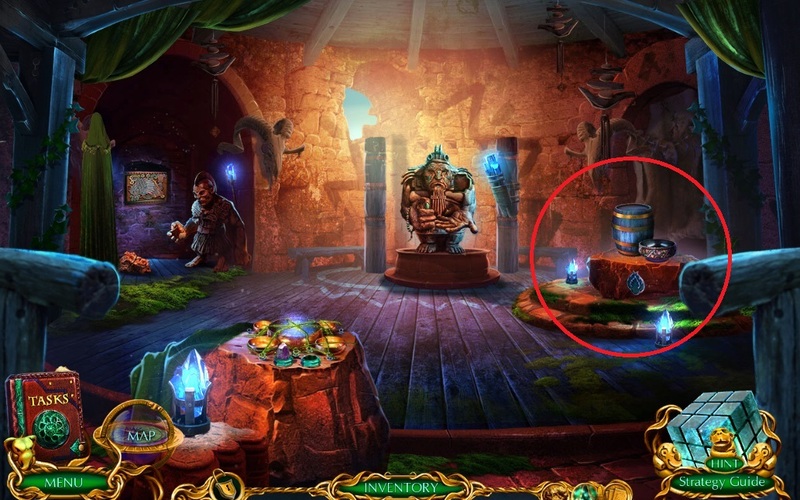 Place the stone amulet to trigger a mini game. Solve the game by assembling the image correctly. 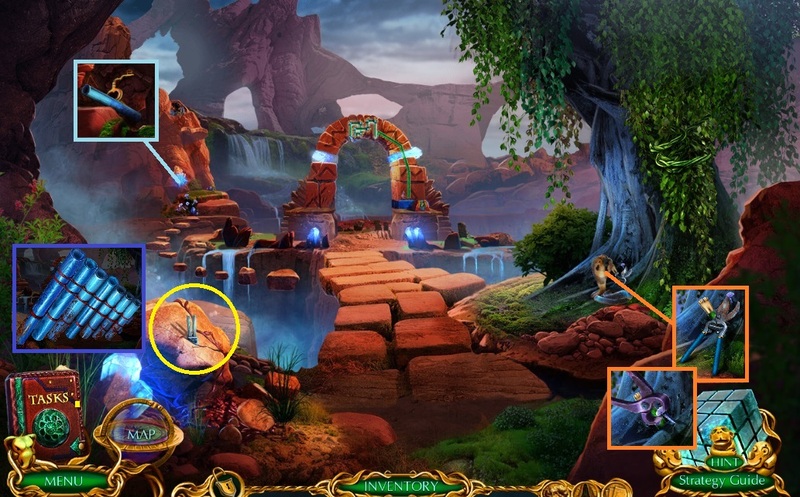 Place the geyser plugs – collect the hand drill. Select the whip – collect the stairs lever. 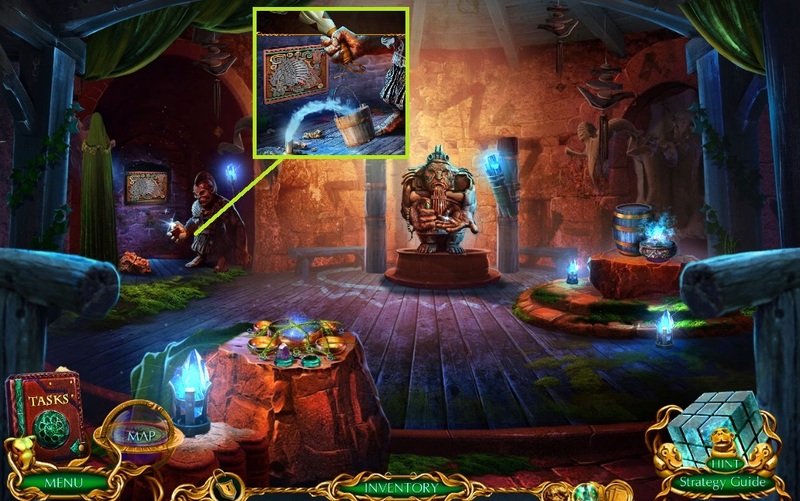 Use the golden coin – collect the damaged beads thread. 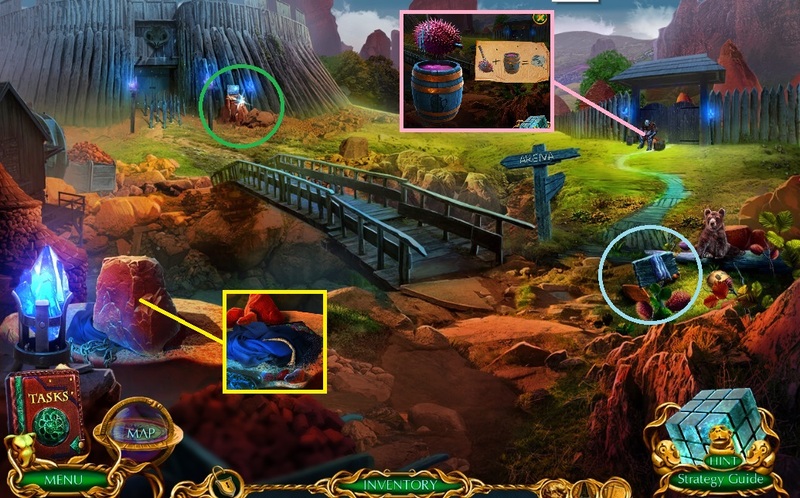 Collect the bucket – tongs – and beads. 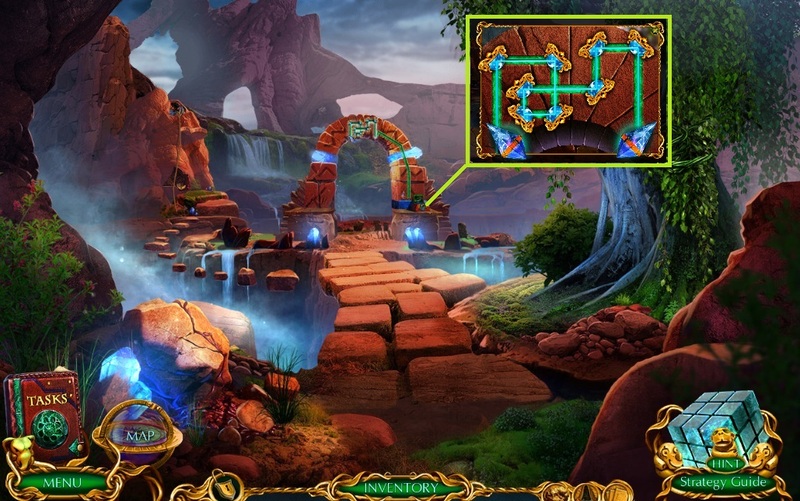 Thread the beads on the damaged bead thread; use them to collect the fire stone. Select the magnet – collect the thread. Select the hand drill – collect the oiler. 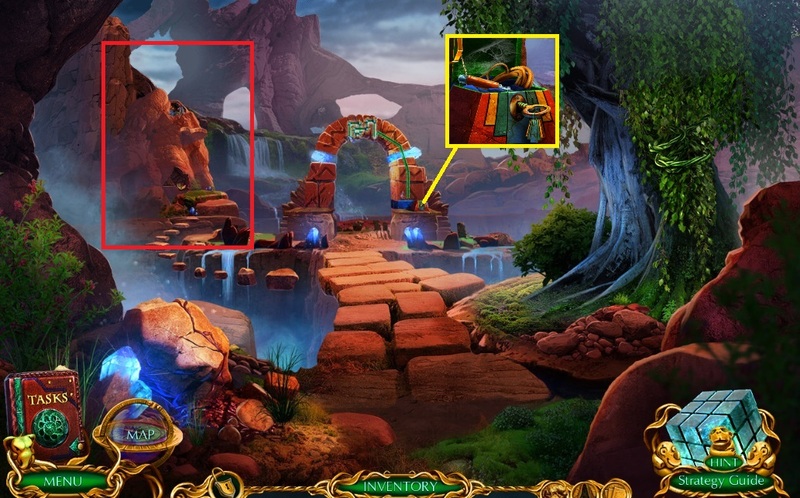 Use the fire stone – collect the charged fire stone. 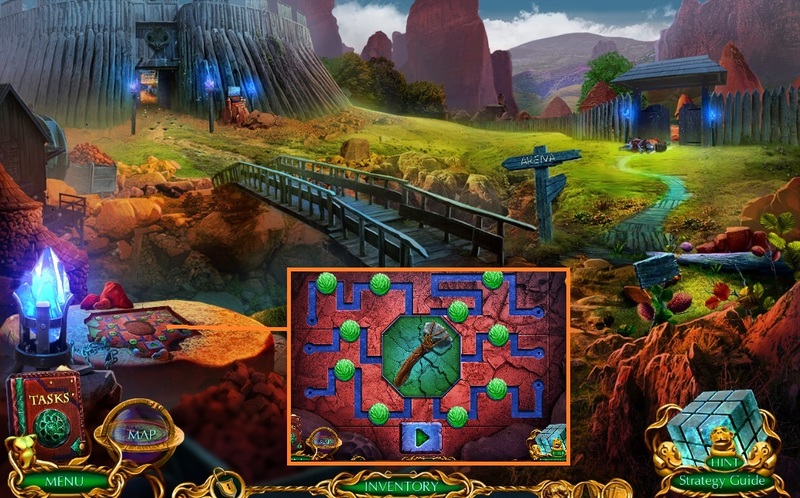 Use the charged fire stone – collect Musega’s pendant. 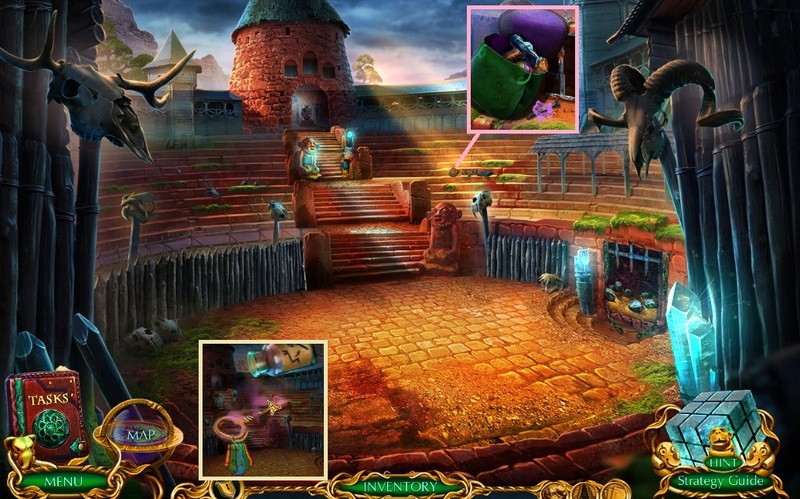 Use Musega’s pendant – collect the flame amulet. 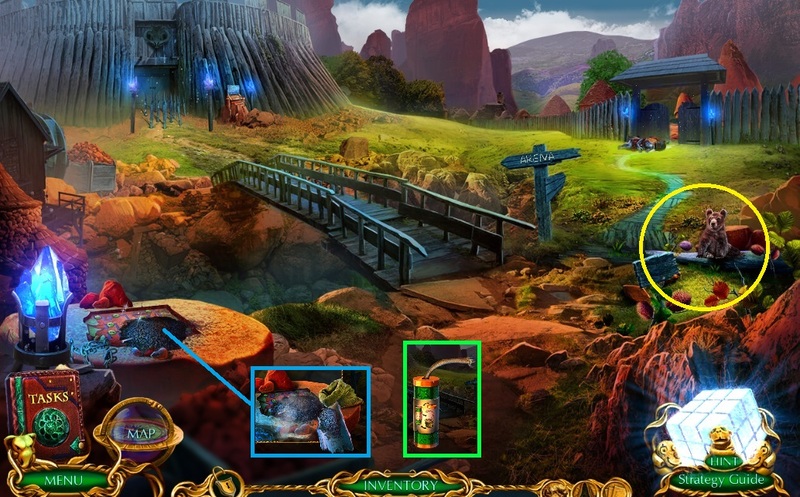 Use the flame amulet to trigger a hidden objects area. Select the bludgeon – use the bucket to collect the water. Use the bucket of water. 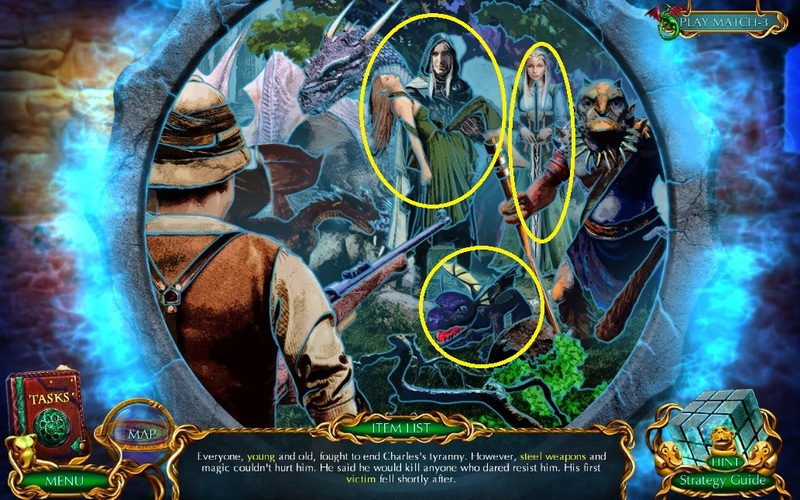 Use Liana – collect the horn & brush. Select the thread – collect the palette & place the brush onto it. Collect the horn & rusty pliers. Select the tongs – collect the broken pan flute. Use the palette & brush to trigger a mini game. Solve the game by completing the image. Collect the grindstone & flute pipe. 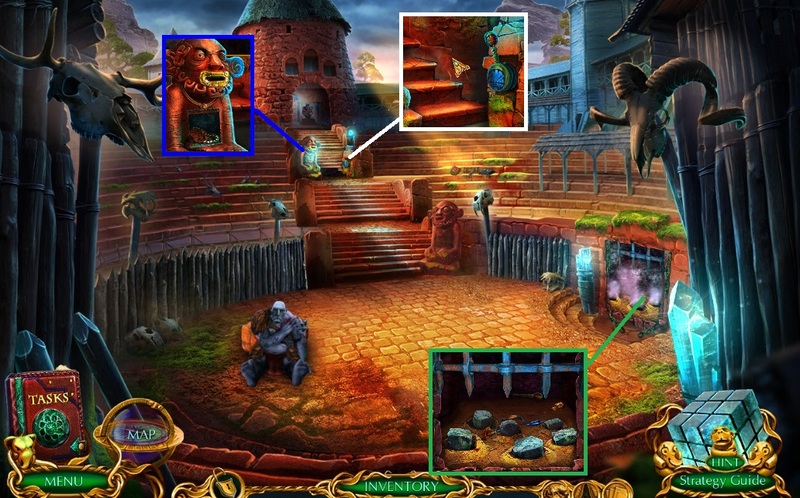 Select the horn to collect the crystal & use it to trigger a mini game. 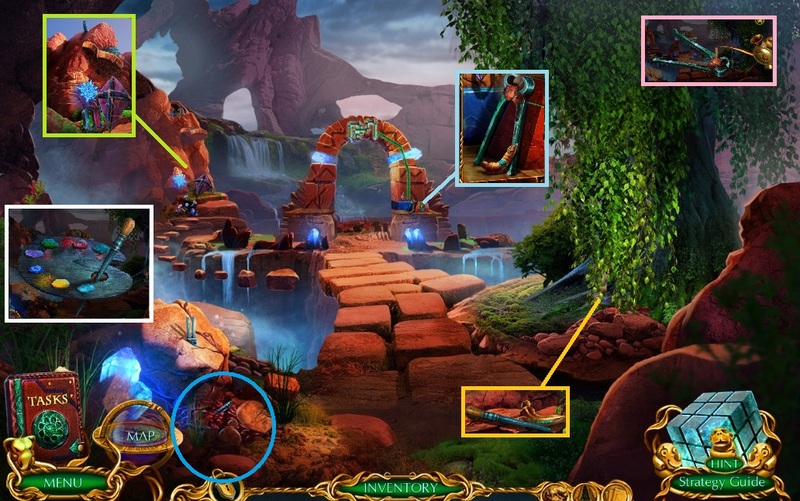 Solve the game by untangling the rope. Move to the Place of Power. 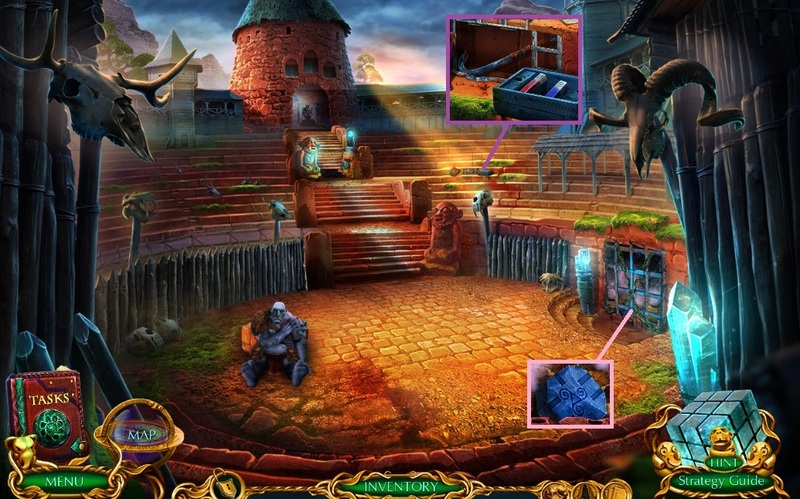 Use the magical scepter – collect the flute pipe & twisted key. Fix the broken pan flute – use it to collect the dull pruners. Use the pliers to collect the nails & handle. Use the grindstone on the dull pruners. Place the handle – collect dirk. Use the dirk – collect the hammer & straightening potion; use it on the twisted key. Use the cache key – collect the chisel & lasso. 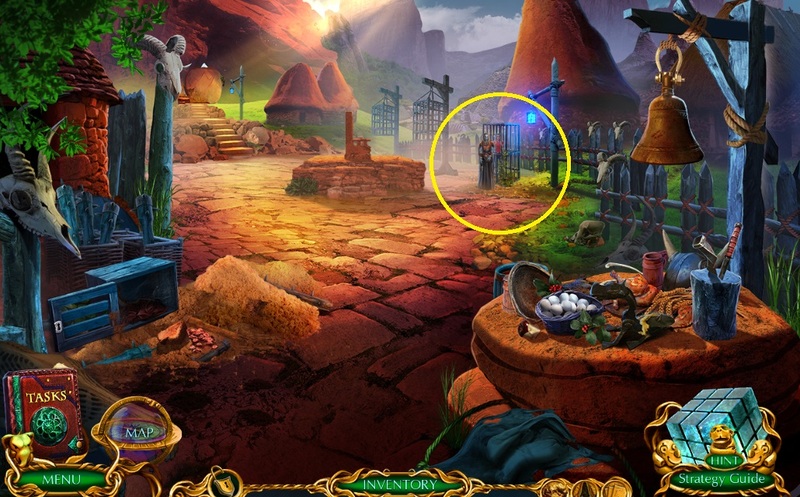 Use the lasso to trigger a hidden objects area. Use the portal lens to trigger a mini game. Solve the game by arranging the lens correctly.